My parents took us down to Nick’s for dinner last night and the conversation eventually turned to the old days. My father, who grew up on Burlington Avenue over on the west side said there were two bakeries near his house on Brooks Avenue and another around the corner on Thurston. My mom talked about the ones near her place on Rosewood Terrace and lamented how now all we have is Wegmans where everything tastes the same. I was thinking about the Vergennes Laundry, a bakery in Vermont with an artfully presented small selection of incredible breads and pastries, so good it is almost worth driving to for a loaf. This article in this morning’s paper has researchers concluding “The more ‘friends’ people have on Facebook the more likely they are to be stressed out and anxious”, according to a new study and “the negative effects of using the site outweighed the benefits it offers in terms of staying in touch with friends and family.” I like how they put ‘friends’ in small quotes. I have no idea who most of my ‘friends’ are and if I used Facebook as more than just a lark I would probably get stressed out too. The other tech story I found interesting was about how blogs are getting less popular as everyone moves to fb. 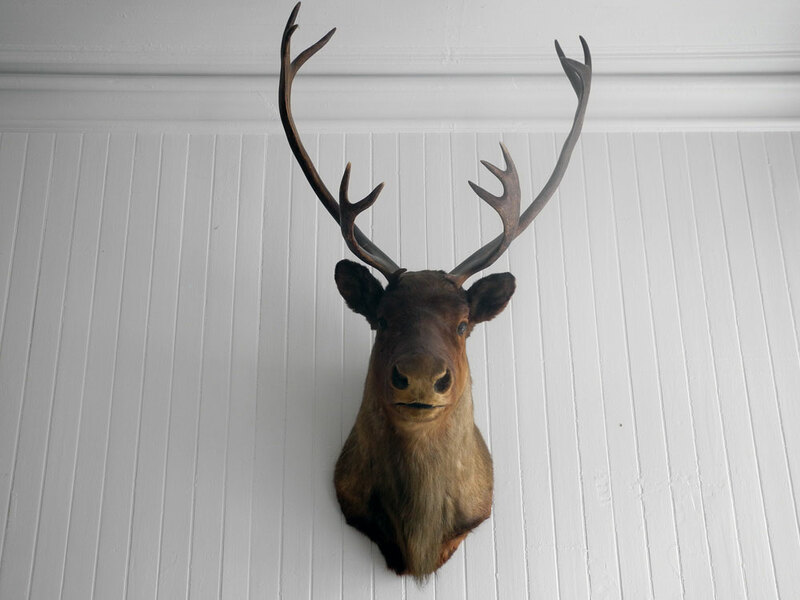 ,,,umm, Paul, It kinda looks like an elk to me, are you sure this is a moose? that said I’m no expert and I will defer to your final word on this matter. I’ll go with elk. Thanks Steve. Check out the Flour City Bakery at the Market next to Javas. Incredible.